Peoria Assn. Of Pastors For Community & Spiritual Renewal: School Lunches. Have They Contributed To District 150's Suspension Rate? 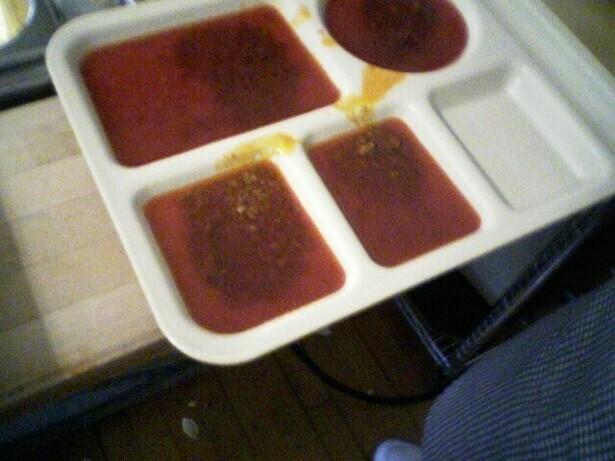 School Lunches. Have They Contributed To District 150's Suspension Rate? For the school year 2008-2009 District 150 enrolled approximately 14,722 students. In 2008-2009 school year there were approximately 7,189 out of school suspensions. This is a 48% overall suspension rate. 86% of all suspensions (6,206 suspensions) were incidents involving Black students. A core of 2,567 Black students generated 6,206 suspensions mentioned above. — Suspensions of black students increased 75 percent from 1999-2008, while those of white students dropped five percent. — In 2007-08, blacks accounted for 51 percent of all suspensions, even though they make up about one-fifth of the student enrollment. Whites accounted for 28 percent of the suspensions, although they make up nearly three-fifths of the enrollment. — Expulsions of black students increased 56 percent from 1999-2008, while those of whites increased 16 percent. — In 2007-08, blacks accounted for 48 percent of all expulsions, and whites accounted for 33 percent. — Since 1989, suspensions have grown by 82 percent and expulsions by 171 percent, while the statewide school enrollment has increased 18 percent. There is a higher disciplinary rate for Black students in Illinois. Now, unless one is willing to believe that the Black community from which these students are coming is just somehow letting down the standard of behavior and education out of hand, we should look at the factors that feed into these occurrences. In this article we will focus on one of them. What he failed to do however, was to make mention of the link between a quality meal and student behavior. We should ask that question for I believe it is fair when we look at District 150 suspension rate and numbers. At first glance it may seem that meals at school have nothing or very little to do with behavioral problems at school. Quite the contrary is true. Current studies affirm that the quality of meals at schools directly effect child behavior, attention span, focus and all of the things that children need to have a successful educational day. This is one area that Peoria Public schools have failed to address when addressing student behavior. Are our children being malnourished at school? In a school district with 61 to 62% Black students, it's no wonder that a good portion of those students either pay for or received the public school lunch and breakfast at a free or reduced cost. We believe that it is the obligation of District 150 to examine the scope, extent and the effects of the current lunch program upon the students. In Feb. 2010 after being audited, the food vendor, Chartwells, gave instructions to increase portion size on their meals because the children were being under-served. How long they had been under serving the children went without note. Until approximately March 2010 the cheese that was delivered by Chartwells to the cafeterias to provide sandwiches for students who either didn't have a lunch or couldn't afford a lunch had ZERO nutritional value in ALL nutritional value categories. Once again, the modification has been recent to an alternate type and brand of cheese. Chartwells seems to have a food delivery plan that offers different quality lunch and meals to different size and types of schools. The public school system seems to receive a lower quality meal than other types of schools. Lunch participation and purchase at many schools has decreased dramatically and lots of food is being thrown away because it is either cold, unprepared (even when prepared according to standards) or of poor quality. 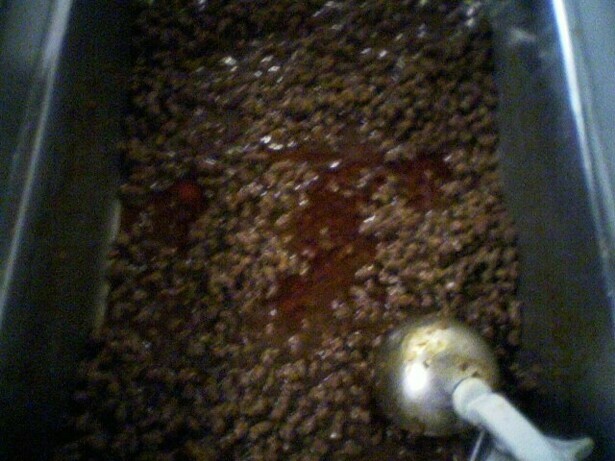 As pictured above, the grease contained within the ground beef used to prepare various dishes is excessive and of low quality. According to the menu, every Wednesday is breakfast for lunch day. This usually consists of 2 small sausages, 2 small pancakes, and fruit and a drink. After having observed the children eat the lunch for myself, it's no wonder there are problems after lunch almost every day. This situation is by no means hopeless. In Appleton, WI a change in the lunch was made and a total change in student behavior was observed almost immediately. The following PDF is a case study on what happened in Appleton and why Peoria Public Schools should do a study on what it would take to do the same. The question is do they have the will to do the same? View more documents from PastorBurnett. From the results of Appleton, WI, we can see that diet and exercise have a direct and positive effect on student behavior. This slight change of direction changed the plotted course of school performance and satisfaction for all students. We have an opportunity to do the same for our children. A good lunch not only improves student behavior, potentially lowering school suspensions and expulsions, but also increases test scores. New York with over 1 Million students saw a dramatic increase in test scores when the school lunch program was modified and upgraded to provide nutritional and desirable lunches. Has District 150 seriously considered the effects of school lunch on child behavior? Has District 150 have an action plan to address the disparity of suspensions among minority children? Does District 150 have the will to study and address this issue and give a definitive and educated answer to their current and future position on the issue? This is over a $3 Million per year industry in Peoria. The true costs are measured in the educational experiences of District 150 children and the perception of families both inside and outside of the District. With so much at stake, District 150 cannot sit silently on this issue. I for one do not plan to allow them to simply skirt by. There are over 14,000 reasons for my participation and 2 of them are at the top of that list. That "feed in" part was really by accident. -LOL! Also, another misconception is that McDonalds is unhealthy. With the upgrading of their menu they are actually more healthy than the school lunch program at many schools and undoubetdly that of PPSD 150. They say that food will make a child fat...only if they do nothing else. It'll make anyone fat to do that (Like me)...anyway! What Is The Real Measure Of 500 Feet?